he Nebraska LEAD program, founded in 1981, is a 2-year agricultural leadership-development program that exposes its fellows to state, regional, national, and international issues through a series of seminars and study tips. The program covers public policy issues, natural resources management, economics, communications, and leadership. 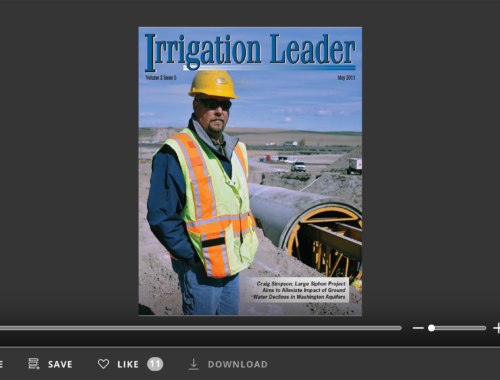 In this interview, Dr. Terry Hejny, the director of the Nebraska LEAD program, speaks with Irrigation Leader Managing Editor Joshua Dill about the program’s history, what its fellows learn, and what sets it apart from other, similar programs. Joshua Dill: Please tell us about your background and how it led you to your current position. Terry Hejny: I grew up on a farm southwest of Lincoln, Nebraska. Our farm was diversified with crops and livestock. I went to the University of Nebraska–Lincoln (UNL), where I received a bachelor of science degree in agricultural education. In 1980, I took a teaching job in Geneva, Nebraska, which is in Fillmore County, about 65 miles southwest of Lincoln. Almost all the cropland in the area was irrigated, either by furrow or by center pivot. I grew up as a dry-land farmer, so that was a whole new experience for me. I spent almost 18 years as a vocational agriculture instructor and Future Farmers of America advisor as well as advising an adult agricultural education organization, the Geneva Young Farmers. During that time, I earned a master of education degree, which provided me the opportunity to become an extension educator for UNL. I served in this capacity in Fillmore County for 7 years. As an extension educator, I focused on risk management, grain marketing, and crop production; along with three other extension educator colleagues, I was an early pioneer of on-farm research. The Quad-County On-Farm Research Program began in 2000 and is still going strong today. In 2005, I transferred to Cass County, east of Lincoln. At the same time, I began working on a PhD in leadership studies. I served as an extension educator in Cass County for a couple of years. There was little irrigation in Cass County, as the farmland there was mostly dedicated to rain-fed row crops. I accepted my current assignment in September 2007, and I have been serving in this capacity ever since. I finally earned a PhD in human sciences with a specialization in leadership studies in 2010. In addition to being an active academic, I have just started my 12th season as LEAD director. Joshua Dill: Please tell us about the history of the Nebraska LEAD Program. United States. One of the things producers needed was global awareness. At the time, most farmers only understood the issues in their own little corner of the world. Most did not have an understanding of the importance of international trade or the global consumer. Rob Raun, who was on the board of the Kellogg Foundation, was also on the board of regents of the University of Nebraska. He bought back the idea for the program and, along withVice Chancellor Martin Massengale of the Institute of Agriculture and Natural Resources at UNL, made things happen. They enlisted the assistance of the Agriculture Builders of Nebraska and other business leaders across our state. Many people served on the initial steering committee and assisted in developing what would become the Nebraska LEAD Program. The Kellogg Foundation provided seed money for a few years, as it did in other states that were developing similar programs. That was the spark that got us going. Our first LEAD class started in 1981, and we have been bringing in a new class every year since. In September, LEAD class 38 began its first year and LEAD 37 began its second year. We are currently recruiting for LEAD 39, which will begin in September 2019. We are the best example of a public-private partnership that I know of. 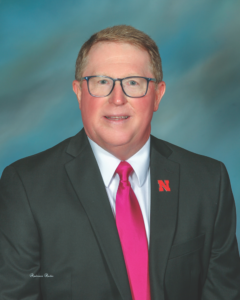 UNL loans me out to the Nebraska Agricultural Leadership Council, which is a nonprofit organization whose only responsibility is to oversee the Nebraska LEAD program and to provide it policy guidance and fundraising support. As a nonprofit group, the Nebraska Agricultural Leadership Council raises operating money to administer the program on a yearly basis. Originally, this program was only supposed to last 3–5 years, as the founders believed that that amount of time would produce a sufficient number of leaders. As you can see, however, we are still going strong. We will always need to grow a new crop of leaders for agriculture and beyond. Joshua Dill: What is the format of the fellowship? Terry Hejny: The program lasts 2 years. During the first year, the LEAD fellows study local, state, and national issues in six 3-day seminars held across the state of Nebraska. We use almost every public and private institution of higher education in our state. 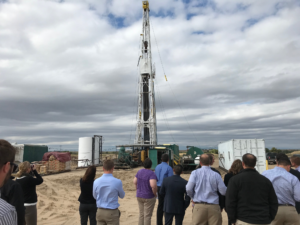 Nebraska varies significantly from east to west, which is why it is so important for the state’s future leaders to be familiar with the entire state. In our seminars, our fellows learn about the distinct cultural features of the different areas of the state and the regional issues and challenges that affect the state as a whole. 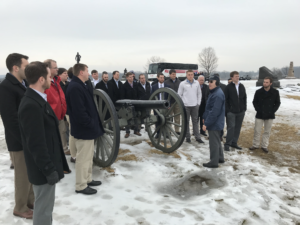 The first year also includes a 10-day national study/travel seminar in Kansas City, Washington, DC, and Chicago, where the fellows meet with business and government leaders. 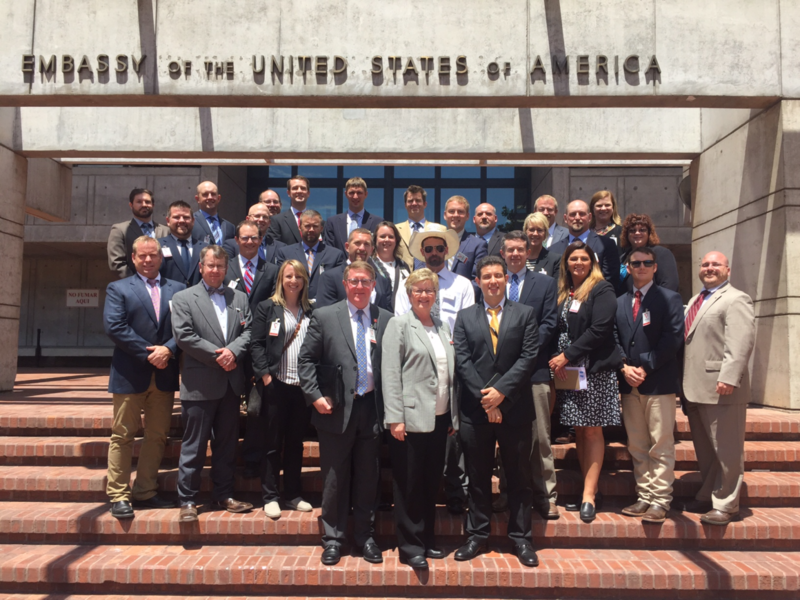 In Kansas City, the participants visit the Federal Reserve Bank, U.S. Environmental Protection Agency (EPA) Region 7, the Kansas City Intermodal Railway, and more. In Washington, DC, they visit Water Strategies, LLC; meet with Nebraska’s congressional representatives; and visit the National Cattlemen’s Beef Association, the National Pork Producers Council, the National Farm Bureau Federation, the Brookings Institution, the Wilson Center for International Scholars, the American Bankers Association, and more. When we are in Chicago, they visit EPA Region 5 and the Chicago High School for Agricultural Sciences, among other destinations. The second year builds on the first year’s studies. We have six 3-day, theme-based, in-state seminars. We also start to prepare the fellows for the global portion of the study program, which is an international study/travel seminar lasting 14–16 days. In January 2019, LEAD class 37 will travel to the Netherlands, Belgium, Germany, and Poland. We like to think of the international seminar as the capstone of the program. Joshua Dill: Who are your LEAD fellows? Terry Hejny: Each year’s class includes up to 30 individuals, generally between the ages of 25 and 55. They include farmers, ranchers, and professionals from all industries that support agriculture. Joshua Dill: What are some of the specific skills that LEAD fellows learn while participating in your program? Terry Hejny: We have done a lot of follow-up studies to see what people gain by participating in the program. The results are interesting. Graduates of the program say they gain self-confidence and a can-do attitude. They also say that the program builds their problem-solving and decisionmaking skills. Public speaking is also important to them. In addition to speaking skills, I think they gain important listening skills. Listening is a crucial part of being a leader. The issues, challenges, and problems we face today are complex. Our program presents our LEAD fellows with as many sides of the issues as possible and encourages them to understand all of them so that they can make informed decisions. Joshua Dill: What sets this program apart from others in the United States? Terry Hejny: A few things separate our program from the other statewide adult agricultural leadership development programs in the United States. One that comes to mind is that we are one of a few that have two classes running concurrently. This certainly keeps my staff and me busy, as we are coordinating the activities of the two classes at the same time. Our international study/travel seminar also sets us apart. This seminar lasts a good 2 weeks and covers at least three countries, sometimes four. It allows our LEAD fellows to compare and contrast the countries we travel to with the United States. 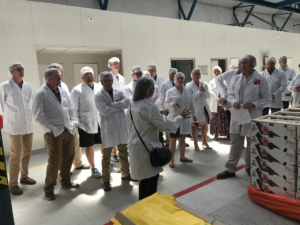 Additionally, our LEAD fellows are excellent ambassadors for Nebraska agriculture and are able to develop relationships with our global partners and customers. It’s important to understand their ways of life, cultures, consumer preferences, and buying habits. Additionally, our program is affordable. We keep our tuition quite low, as we do not want the price to discourage anyone from participating. We are able to do this because of the outstanding support of UNL; our commodity boards and grower associations; our friends in business and industry; our LEAD alumni and the LEAD Alumni Association; and the many individuals across our state and beyond who support us with their time, talent, and treasure. Another unique feature of our program is that the spouses of married applicants are included in the interview process. The spouses of LEAD fellows also participate in four of the in-state seminars. They are part of our LEAD family, and we want to help them grow personally and professionally. In fact, some end up applying to the program a few years down the road. Joshua Dill: Has the program changed over the years, and if so, how? Terry Hejny: Our program has certainly changed over its 38 years, but the big-picture topics—water, international trade, healthcare, and education—have remained the same. What has changed is our presentation approach. 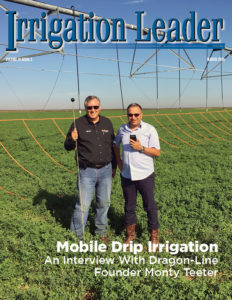 Joshua Dill: What makes your program appropriate for irrigation professionals? 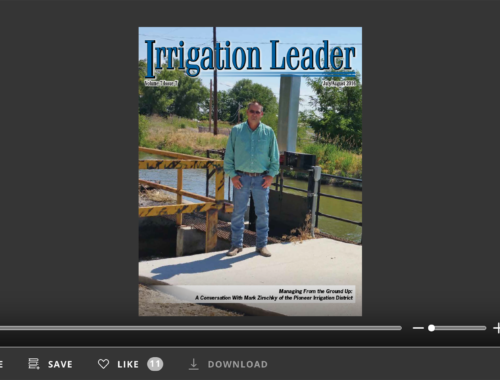 Terry Hejny: Here in Nebraska, we sit on top of one of the largest aquifers in the world, the Ogallala aquifer, so we pay close attention to irrigation issues as well as water use issues. 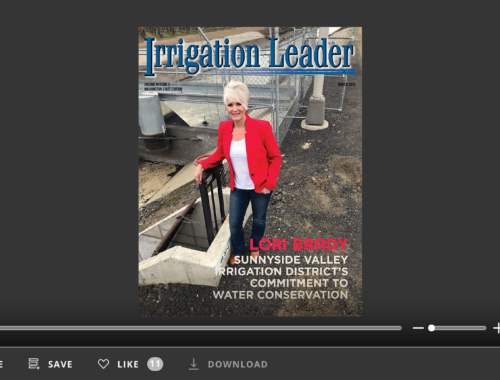 We look at surface water irrigation, groundwater irrigation, surface water rights, groundwater rights, pumping costs, pumping efficiency, and water ownership. These issues are complex. The ways in which various areas of the state handle water issues and irrigation is interesting. We also cover new technologies and water law. Many of our graduates go on to sit on natural resources district boards, and several have gone to be elected as Nebraska state senators. Joshua Dill: Would you tell us about your alumni? Terry Hejny: It is hard to name just a handful because so many of our participants go on to do great things. Several of our graduates have gone on to be Nebraska state senators. One of our alumni is a sitting United States senator, and another is a member of the University of Nebraska Board of Regents. A few of our graduates have gone on to be the executive directors of our state commodity boards and grower associations, and many have served as commodity board or grower association board members. Many become school board members or county commissioners and are involved in economic development at the local, regional, and state level. I think the key is that our alumni get involved in their communities. Whether their communities are large or small, rural or urban, our graduates make their homes a better place to live, work, and play. Joshua Dill: What ambitions do you have for the program in the future? Terry Hejny: We are looking at changing our national seminar by spending 2–3 days in another state to learn about the agricultural issues and challenges it faces before we travel to Washington, DC. That is going to require additional funding, but it is something I would like to implement when LEAD welcomes its 40th class. I want to enhance the program each and every day, just as my predecessors did. We are trying to accelerate the leadership development of the future agricultural leaders of Nebraska and beyond. We hope to help all our participants find out what they are truly passionate about in the agricultural industry and to provide them with the necessary tools to become effective leaders. For more information about the Nebraska LEAD program, please contact Terry Hejny at thejny1@unl.edu or (402) 472-6810, or visit the LEAD website at lead.unl.edu/.